Ware County High School Homecoming Bonfire 2013 – Waycross, GA. 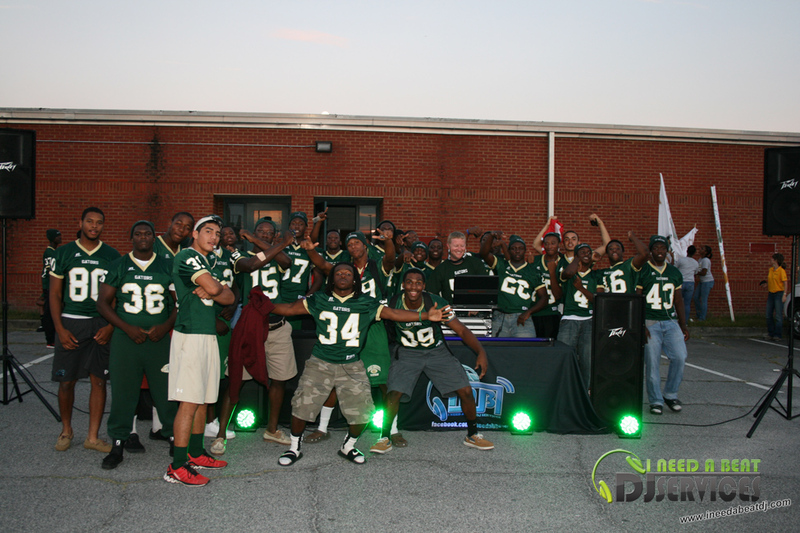 The Gators had their pre-game bonfire on Thursday October 17 before the big game, and I Need A Beat – DJ Services was there to provide the music. This was the 1st time the current administration held the bonfire, and it turned out to be a big success. There was a parade, the cheerleaders cheered, Principle Dixon gave a speech and thanked everyone for coming, Coach Dudley pumped everyone up for the game, the majorettes twirled flaming batons, they crowned Mr. & Miss, Flame, and I Need A Beat got the students crunk for their game Friday night with a little dancing, all while enjoying the bonfire.